At the beginning of the year 2018, the Knesset approved a law of annexing academic institutions in the settlements constructed West Bank e.g. Ariel University and the 2 Education faculties in the Akena and Alon Shvut settlements to the Israeli Higher Education Council, knowing that the above mentioned law is a part of the annexation policy led by Israel Baitona party that openly declares its intention to annex C areas that constitute 60% of the West Bank. Moreover, the Hebrew University in the occupied Jerusalem held a conference under the title “The Environment behind the Green Line” organized by the Environment College at the University, participated by the Environment Minister, Zeev Elkin, and Nature Protection Authority’s Director, Shaul Goldstein and many Israeli officials. To prolong the occupation and enabling the settlers to confiscate more Palestinian lands and intensifying settlement as well as creating a state of geographical contiguity around Jerusalem, the Israeli government has approved the construction of 270 housing units in Daniel and Kfar Dadd settlements, southeast of Bethlehem. It also approved the building of 170 housing units near Al-Khader town, south of Bethlehem as well as 100 units in “Kfar Dadd” outpost “located on the Ta’mra area. Noting that 500 housing units in the settlement outpost “Dad” were added. 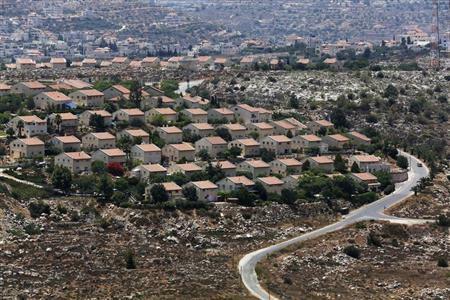 Moreover, the Israeli government has approved the addition of 20 new settlement units in the settlement of “Metasad”. At the same time, minister of the occupation army, Lieberman decided to approve the expansion of Adam settlement project, southeast of Ramallah, by building 400 new housing units. According to the National Bureau, US’s officials agreed on that. On the other hand, the Israeli District Committee for Planning and Building in Jerusalem decided to carry out a plan to build a tunnel extending from Hebron GATE TO Damascus Gate in the Old City of Jerusalem, at a cost of NIS 360,000,000. The National Bureau stated that Israeli decisions are part of the extremist government’s plans to satisfy extremist settlers in light of the international silence on Israel’s crimes and violations of international laws, condemning these racist Israeli decisions that contravene international norms and charters. According to Khalil Tofakji, Director of Plans and Data System at the Arab Studies Association, it was disclosed that the Israeli authorities are intending to transfer 2,500 land plots within the so-called municipal boundaries of Jerusalem to public institutions in Israel, which means transferring them from private property to state property for public interest. Adding that, this announcement coincided with another announcement made by Israel to carry out settlement operations in a number of Jerusalem neighborhoods in order to occupy large areas of land. In Jerusalem, the Israeli government continues its policy of racial discrimination as it implemented a plan to identify special tourist routes for Muslims within the Holy City in weeks, extending from Damascus Gate to Al-Aqsa Mosque, as well as establishing new Israeli police monitoring station. On the 13th anniversary of the evacuation of settlements in the northern West Bank, 200 settlers returned to Sanur settlement, which was evacuated in 2005, MKs Shuli Maalem and Bettsiel Smutrich and about 200 settlers entered the area protected by the Israeli occupation soldiers, saying that they will return o settlements as this is part of their ideology. In an a maneuver to restrict the citizens’ movement and push them to emigrate, the military bulldozers destroyed the agricultural water lines in the northern Jordan Valley and leveled areas of land in Khirbet al-Ras al-Ahmar east of Tammon town under the pretext of constructing a military road for the Israeli army. The Israeli occupation forces also closed water lines feeding the village of Froush Beit Dajan, east of Nablus under the pretext that it is illegal, besides legitimizing the status of more than 100 illegal outposts.